Per our Articles of Incorporation filed with our 501(c)(3) nonprofit status in 1996, the E-Democracy Board governs this organization. New board members are sought, reviewed, and elected as needed by existing board members to best accomplish our mission and goals and oversee the mostly grant-funded work of the organization. Subscribe to our blog for notices of recruitment or contact us for more information. Affiliations listed for informational purposes only. Steven Clift is a founder of E-Democracy and served as Board Chair through 2008. He is an online strategist on the use of the Internet in democracy, governance, and community. One of world's leading experts on e-democracy, he has presented hundreds of times across 30 countries. Through E-Democracy's online communities of practice he shares knowledge, practical advice and original articles and presentations directly to thousands of subscribers and visitors. Steven was named a White House Champion of Change for Transformative Civic Engagement in 2013. He was also named among “The 25 Who Are Changing the World of Internet and Politics” by Politics Online, and in 2006 he received a fellowship from Ashoka, a global association of the world’s leading social entrepreneurs. Steven has served as advisor to the Markle Foundation's Web White & Blue online election information partnership and organized a major online presidential debate in 2000. He coordinated the State of Minnesota's government portal effort from 1994-1997 and served as executive director of the Minnesota Government Information Access Council in 1997. He graduated from Winona State University, with a B.A. in Political Science and attended graduate school at the University of Minnesota's Hubert H. Humphrey Institute of Public Affairs where he also worked for the Center for Democracy and Citizenship and helped launch the online Public Policy Network in 1993. He recently joined the Humphrey School as an adjunct faculty member teaching social media and lives in Minneapolis, Minnesota, USA. Follow him on Twitter @democracy. Anne Carroll has been a strategic planner and public involvement consultant for over 30 years, serving primarily the public sector. She specializes in designing and leading authentic and transparent public participation processes, bringing underrepresented voices to the table, and using innovative approaches to gather meaningful input. For a number of years she has taught strategic planning and public participation design to graduate students at the University of Minnesota's Humphrey Institute of Public Affairs. She mentors young professionals, provides training in inclusive public participation design and online P2 tools, and co-authored with Dr. John Bryson the Public Participation Fieldbook (2007). In addition to serving on the board of E-Democracy, she helped form two E-Democracy Issues Forums and is actively involved in several local forums. Anne is a board member for the International Association for Public Participation USA, is an elected member of the St. Paul Public Schools Board of Education (Minnesota, USA), and serves on a statewide diversity committee for the Minnesota League of Women Voters. She has lived in several different countries and USA states, and currently lives in St. Paul, Minnesota, USA. Alan Rosenblatt, Ph.D., is a digital communications & social media strategist, professor & thought leader with over 25 years’ experience in digital/social politics, advocacy, media, and education. He is Director of Digital Research at Lake Research Partners & Senior Vice President of Digital Strategy at turner4D. Alan co-founded the Internet Advocacy Roundtable in 2005 & in 1995 taught the world’s 1st college course on digital/social media politics at George Mason University. He’s been teaching variations of it ever since—currently at Johns Hopkins, George Washington and American Universities, and previously at Georgetown and Gonzaga Universities. Dr. Rosenblatt was Associate Director for Online Advocacy at the Center for American Progress/CAP Action Fund from 2007-2013, where he created and managed the Center’s enterprise social media program and ran many online advocacy campaigns. He is a prolific writer, currently blogging at npENGAGE and turner4D’s Carpe Colloquium and previously at Huffington Post, Social Media Today, techPresident, Big Think, Roll Call, and Campaigns & Elections. He is a frequent keynote speaker and panelist. Alan has a Ph.D., M.A. and B.A. in Political Science and can be found across social media @DrDigiPol. Melody Ng is committed to finding ways for people of all backgrounds and viewpoints to have a voice in the media and in their communities. She helped to build American Public Media's Public Insight Network (PIN), gathering knowledge from everyday people from diverse (e.g., geography, politics, age, education, race and ethnicity, socioeconomics, and faith) backgrounds to fuel and produce news stories, projects and events for American Public Media, Minnesota Public Radio, and its media partners across the United States. She lives in Minneapolis, Minnesota USA. Bruno Kaufman is a trained political scientist, conflict researcher and journalist. He is member of the city government of Falun, Sweden, where he chairs the Election Commission. In 2001 Bruno Kaufmann became the first director of the Initiative & Referendum Institute Europe. He is editor-in-chief of people2power.info, a media initiative hosted by the Swiss Broadcasting Company, and co-president of the Global Forum on Modern Direct Democracy. His books include Guidebook to Modern Direct Democracy (published in 12 languages) and European Passport to Active Citizenship (22 languages). 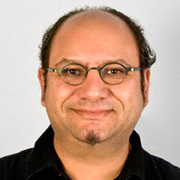 Bruno is a research fellow at the Centre of Social Cohesion at Arizona State University. Sarah Beley is a graduate of Simon Fraser University in British Colombia, with a minor in Dialogue Communications and a major in Political Science with a focus on Public Policy. She is also a graduate of the Semester in Dialogue program at Simon Fraser University. Upon graduation, Sarah worked at the Centre for Dialogue where she participated in civic engagement and public dialogues. Sarah is currently working in clean tech and sustainable community development. Sarah is Radius Fellowship alumni and a Fossil Free Faith alumni where she focused her attention on interfaith dialogues and the environment. Since the early 1990's, Scott Aikens has been immersed in an array of activities that create value in and for local communities. Since 2005, Aikens has been working in retail real estate at Robert B. Aikens & Associates, LLC, a family firm that owns and manages a number of retail properties. Scott primary focus is on the health and well-being of the Village of Rochester Hills, the premier main-street lifestyle center in metropolitan Detroit. From 1998 to 2002, Scott worked as a media executive at NPR/PBS affiliate KQED in Northern California and CPTV & Radio in Connecticut. In Connecticut he was supported by a Ford Foundation grant to help develop local digital content strategies for U.S. public media. Among other achievements, Scott initiated the multi-platform project (TV, Radio & Interactive) at KQED that evolved into Quest, a $7.3 million program that explores science and nature in the Bay Area. From 1997 through 1998, Scott conducted research on the impact of the Internet on local democracy at the University of Cambridge under a grant from the UK Economic and Social Research Council. From 1993 through 1997 Scott pursued his Ph.D. at the University of Cambridge. During this period, he co-founded one of the first political sites on the Web, e-democracy.org. In 1994 and 1996, Scott conceptualized and ran online debates for the U.S. Senate in Minnesota and the Minnesota governorship. The archives from these debates provided the data for his 1997 University of Cambridge Ph.D.
Joanne Caddy has over 15 years of experience in the comparative analysis of public policy, public engagement and governance. She is the author and editor of numerous OECD reports on open and inclusive policy making, including “Focus on Citizens: Public Engagement for Better Policy and Services” (2009), "Evaluating Public Participation in Policy Making" (2005), "Promises and Problems of E-democracy: Challenges of Online Citizen Engagement" (2004), and "Citizens as Partners: Information, Consultation and Public Participation in Policy-making" (2001). In 2006, she was seconded to the New Zealand State Services Commission (SSC) for a year, where she served as a Senior Adviser and helped draft the SSC “Guide to Online Participation." This Guide was written on a wiki, with inputs from a broad community of practice, and was published online in 2007. Joanne has a keen interest in the application of new technologies, the Internet and participative web platforms to the work of government and is a staunch believer in exploring innovative ways to leverage networks to develop, discuss and disseminate policy relevant knowledge. She is a member of the International Association of Public Participation and lives in the western suburbs of Paris, France. David Erickson specializes in strategic online communication. He has been marketing online since 1995, first as a freelancer, and then in 1997 as the founder and president of e-Strategy. For the next 10 years, he conceived and executed countless strategic Internet marketing plans. He co-founded MN-Politics.com in 1998, and is a former co-publisher of Politics In Minnesota, a former co-host of a political talk radio show, and a former Hubert H. Humphrey Institute Policy Fellow. He joined Tunheim Partners in 2008, and continues to blog about strategic online communication at his e-Strategy Internet Marketing Blog. David has been involved with E-Democracy as either a participant or a volunteer since 1994. He lives in St. Paul, Minnesota, USA. Scott Lystig Fritchie met his first UNIX system in 1986 and has almost never met one since that he didn't like. A career detour as a UNIX systems administrator got him neck-deep in messaging systems, e-mail and Usenet News. He rediscovered full-time programming while at Sendmail, Inc., where a colleague introduced him to Erlang in 2000. His world hasn’t been the same since. While with Gemini Mobile Technologies, Inc. he worked on storage infrastructure for multi-media messaging systems (MMS) for mobile phones, then supporting 3D gaming on mobile handsets, then the storage layers for a large Webmail system in Japan (now storing many billions of messages). He has been a senior software engineer with Basho Technologies since 2010. He lives in Minneapolis, MN, USA. Dan Jellinek is co-founder and managing director of Headstar, a publishing, research and events company focused on technology and social issues including e-government (how public services use digital technology), e-democracy (the use of the internet and other new technologies to improve the working of democracy), and access to technology by people with disabilities. As part of his work at Headstar, Dan edits the email newsletters E-Government Bulletin and E-Access Bulletin. In Dan’s early career as a journalist he contributed to The Guardian and the BBC’s WebWise campaign to help adult Internet beginners. In 2001 he was a co-founder (with Tom Steinberg, James Crabtree and Derek Parkinson) of VoxPolitics, a think tank examining the use of the Internet in elections. Dan is a former chair of the Sussex Community Internet Project (SCIP), a non-profit body helping voluntary and community groups in the South of England to use technology. In 2004 Dan was voted among the top 10 people worldwide having the greatest impact on the way the Internet is changing politics at the Fifth World Forum on e-Democracy in Paris. He lived in Brighton, England before passing away in 2015. Sheldon Mains is the founding director of SPOKES community bike center whose aim is to get more people biking for transportation, exercise and recreation. Before becoming director, Sheldon spent a year as a volunteer shepherding SPOKES through an approval process that included the Federal Highway Administration, the Minnesota Department of Transportation and the City of Minneapolis. Prior to SPOKES, Sheldon ran his own consulting firm helping nonprofit organizations and foundations use new technologies to improve service to their constituents by combining new technologies with sound business practices and effective organizational change strategies. This included planning new technology, using technology to help fight government or to rock the boat, or getting the organization to think in totally new ways. He has been involved in a variety of community organizations that provide public access to communications technology. Sheldon lives in the Seward Neighborhood of Minneapolis, Minnesota, USA. Mary Reid lives in the Royal Borough of Kingston upon Thames, England where she has served as a local councillor from 1997 through 2010, representing the ward of Chessington North and Hook. During that time she served as Mayor of the Royal Borough of Kingston upon Thames for 2006-2007. From 2004 to 2006 she held the Executive portfolio for Children and Young People's Services, and for the two years before that, the portfolio for Participation and Communication. From 2007 to 2010 she served as Chair of the South of the Borough Neighbourhood Committee. Since standing down as a councillor, Mary has remained actively involved in politics both locally and nationally. She is chair of Kingston Liberal Democrats, whose Member of Parliament is the Secretary of State for Energy and Climate Change, an editor of the Liberal Democrat Voice and has served on a number of national policy task groups, and the Events Coordinator for the Social Liberal Forum. Mary has a deep interest in e-government, and in e-democracy in particular. From 2003 to 2006 she chaired the UK Local e-Democracy National Project. When that project ended she joined the board of the International Centre of Excellence for Local e-Democracy as Vice Chair. Mary worked professionally in further education for many years and writes educational books on IT related subjects under the name K Mary Reid. Her own University education covers philosophy, education and computing over three degrees, including an MSc in Intelligent Knowledge Based Systems from Imperial College, London. Mary lives in Chessington, Surrey, UK. Mick Souder has been an advocate of using communication technology to empower people to affect their societies for the past 30 years. This has included helping start not-for-profit Internet services (Minneapolis Telecommunications Network River Project), training (Access Minnesota Main Street local e-commerce project), teaching elementary school students to produce community radio (Zuni Public Schools), community access television (camera operator, board member and President, Durango Community Access Television) and helping write a book on applying the principles of e-commerce to state and local government. Mick has been involved with E-Democracy since its inception in 1994 serving as forum manager of its first full-time forum, MN-Politics, helping kick start the St. Paul Issues forum, assisting in establishing the rules system used by the organization's forums, helping to incorporate the organization, and serving on its Board of Directors from incorporation (except in 2009). Mick holds a Master's degree in technical communication focused on computer-mediated communications. He is a successful grant writer and has managed costing and budget creation on projects for up to $1B. He lives in Durango, Colorado, USA. 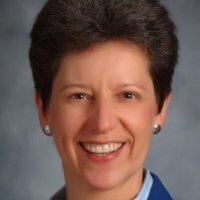 Laura Waterman Wittstock is president and CEO of Wittstock & Associates. The firm provides consultation in select new projects in the areas of creative, development, assessment/evaluation, and governance. Current clients include educational organizations, nonprofits, and individuals. She co-produces and hosts First Person Radio, a weekly public affairs program on KFAI-FM in Minneapolis and writes an online column for Indian Country Today Media Network. Laura is the co-author of We Are Still Here: A Photographic History of the American Indian Movement (to be published May 2013); Diverse Populations/Diverse Needs: Community Foundations and Diversity and Changing Communities, and ININATIG’S Gift of Sugar: Traditional Native Sugar Making. She was an elected member and president of the Minneapolis Library Board, where she worked on the development and realization of the new Central Library (2002-2009). She served as the fourth Louis W. Hill, Jr. Fellow in Philanthropy under the University of Minnesota’s Hubert H. Humphrey Institute of Public Affairs (2006). Among leadership and professional awards are the 2011 Frank Premack Public Affairs Journalism Award: the Farr Award for an exceptional contribution to public affairs; the 2006 Distinguished IEL Service Award, (Institute for Educational Leadership national award for improvement of American education; and the 2005 American Indian Honored Educator. David Woolley has been a pioneer in online conferencing for over 30 years. In 1973 he created PLATO Notes, one of the world's first online communities and later the progenitor of Lotus Notes, DEC Notes, and many others. He has designed conferencing facilities for many applications and has published a number of articles and book chapters on the subject. As the Executive Director of Twin Cities Free-Net, David spearheaded the building of an online community designed to support the neighborhoods of the Minneapolis-St. Paul metro area. 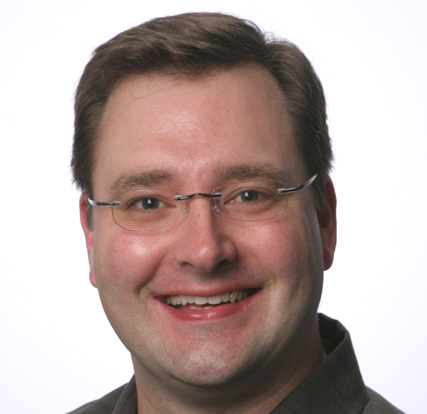 He is also a veteran in the fields of interactive media and computer-based training, having designed a variety of authoring tools and supervised the development of many CBT applications. David continues to work as a consultant in the field of web conferencing, online collaboration, and online community development. He lives in Minneapolis, Minnesota. Mike Huggins is a former city manager with 30+ years executive experience in city planning and local government management. His passion is building the power & skills of everyday people to be effective civic agents in their local communities. He now works with community organizations and local governments to build the civic problem solving skills of ordinary people to do extraordinary and meaningful public work. In 2007 Mike convened a community partnership in Eau Claire, WI to work with the National Civic League to implement the Clear Vision community visioning process. He continues to serve on the Clear Vision Board of Directors, which is convening a community Empowerment Process integrating online and face-to-face engagement to launch civic work groups on priority community issues. He also teaches an undergraduate Honors course at the University of Wisconsin-Eau Claire on "Doing Democracy: Building Civic Agency in Local Communities." Mike was a charter member of the American Institute of Certified Planners and is an International City/County Management Association Credentialed Manager. He has a Master of Arts in Urban Planning and Master of Arts in Public Administration from the University of Kansas. He lives in Eau Claire, Wisconsin USA. Matt Leighninger is the Director of Public Engagement at Public Agenda, a nonprofit, nonpartisan organization that helps diverse leaders and citizens navigate divisive, complex issues and work together to find solutions, and co-author of Public Participation for 21st Century Democracy. Prior to joining Public Agenda in August 2015, Matt was the Executive Director of the Deliberative Democracy Consortium(DDC), an alliance of the major organizations and leading scholars working in the field of democracy and citizenship. Over the last twenty years, Matt has worked with public engagement efforts in over 100 communities in 40 states. His previous book, The Next Form of Democracy, traces the shifts in the relationship between citizens and government, and examines how these trends are reshaping our democracy. Two additional publications, Planning for Stronger Local Democracy (National League of Cities, 2011) and Using Online Tools to Engage – and be Engaged by – the Public(IBM Center for the Business of Government, 2011) provide practical suggestions for aspiring democracy-builders. Follow him on Twitter @mattleighninger.